Salsa Cycles dropped us a line recently to give us the run down of its refreshed “All Road” line up for 2019. 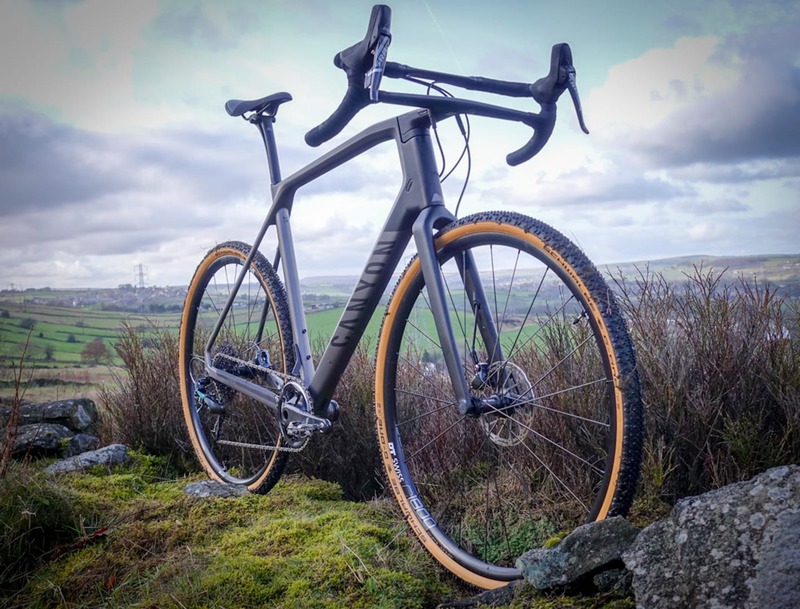 The American brand has long backed gravel, with its Warbird being one of the first bikes that we can think of that was branded as “gravel” rather than ‘cross. It has got a pretty extensive range though, covering off road turning and bikepacking through to drop-bar mountain bikes and more traditional gravel bikes. There’s a hell of a lot to take in – six bikes, all with a different #dirtydropbargoodness specialism – so we recommend popping to Salsa’s website for the full lowdown on each bike, but here’s the highlights. 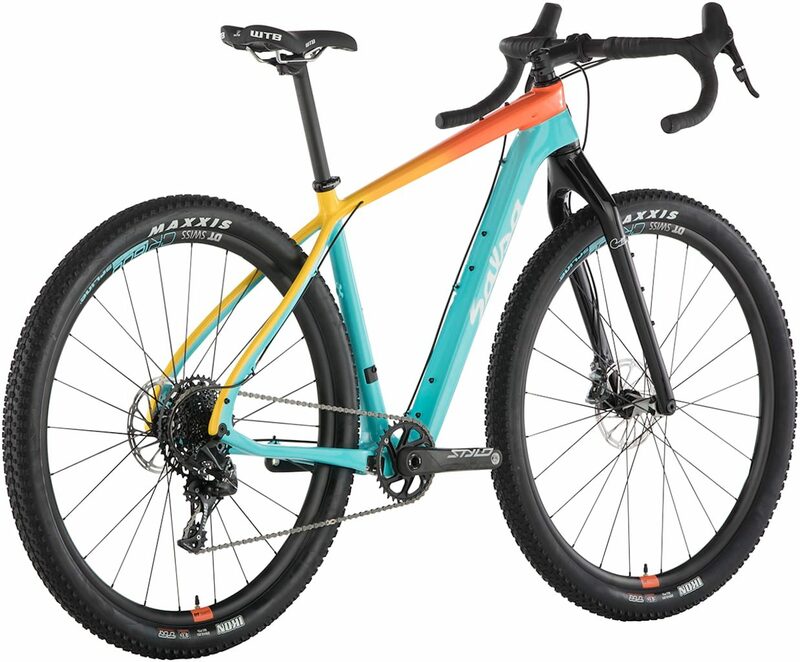 Salsa have never shied away from some rad colour schemes. It’s also worth noting that Salsa are currently sans distributor in the UK, which is pretty disappointing for fans of the brand on this side of the water. As we understand it, there’s a chance that may change this year. Fingers crossed! The Marrakesh is Salsa’s world touring bike. Designed for load carrying and long distances, it isn’t an off-road bike as such, but is designed to take rough roads and unpaved highways in it’s stride. There’s all the requisite goods necessary for a long, unpredictable journey on two wheels. 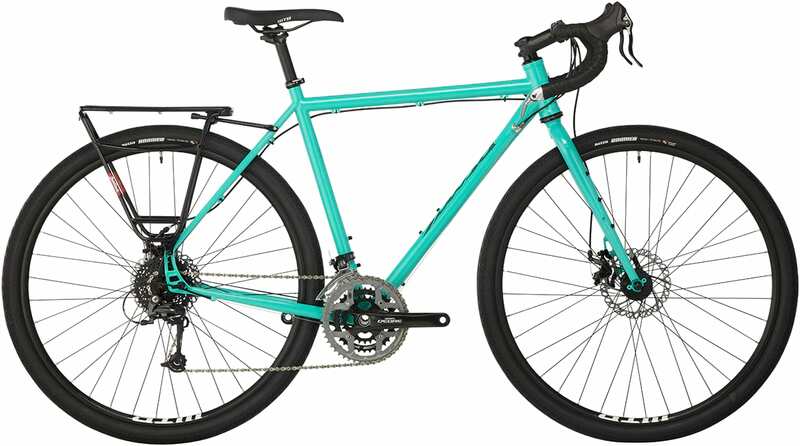 Rear rack, kickstand plate, spare spoke holder, triple chainset… but most importantly a heavy-duty frameset that’s designed to still ride great when loaded down with a true touring load. It’s priced at $1,499 for a Deore equipped bike. The kind of bike that makes you want to give up your job and go ride across continents. The Fargo has long been a cult-classic. Our Chipps took one of the original drop bar 29ers on a tour of the Pyrenees many years ago and it’s that kind of adventure that we reckon the Fargo was made for… as well as being a cracking for some light off-road closer to home. 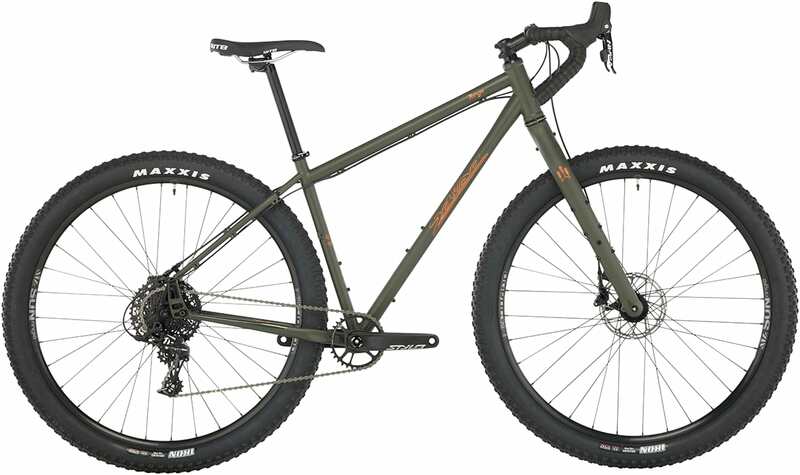 This revised version goes big with clearance for 29 x 2.6” tyres. We’ve not spent time on this tyre size on a drop bar bike, but on mountain bikes we’ve noticed some real benefits of excellent traction and good comfort from being able to run low pressures. The rear frame spacing is interesting, as via different axle plates it can take 148mm boost, 142mm thru-axles or 135QR axle. 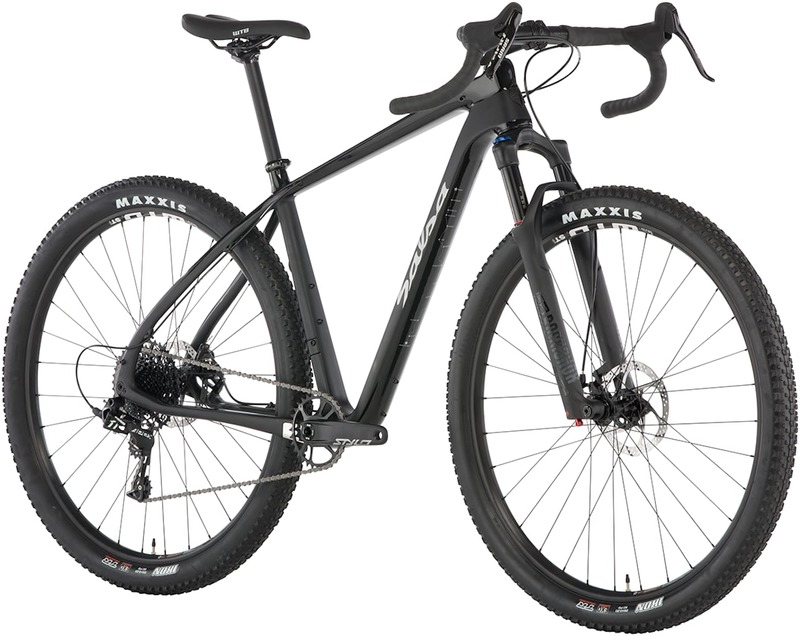 Mountain bike with curl bars, or gravel bike with huge tyres? Who cares if it is fun? Pretty much any wheelset you already have will be compatible. The new Firestarter 110 fork brings a host of additional features; boost spacing, dual sets of Three-Pack mounts on each fork leg, low rider mounts, and internal dynamo hub wire routing. A ti and steel frameset are available, as are two full builds, the $2,499 SRAM Apex1 build being our pick of the bunch. We think of the Vaya as a more road-oriented version of the Fargo. 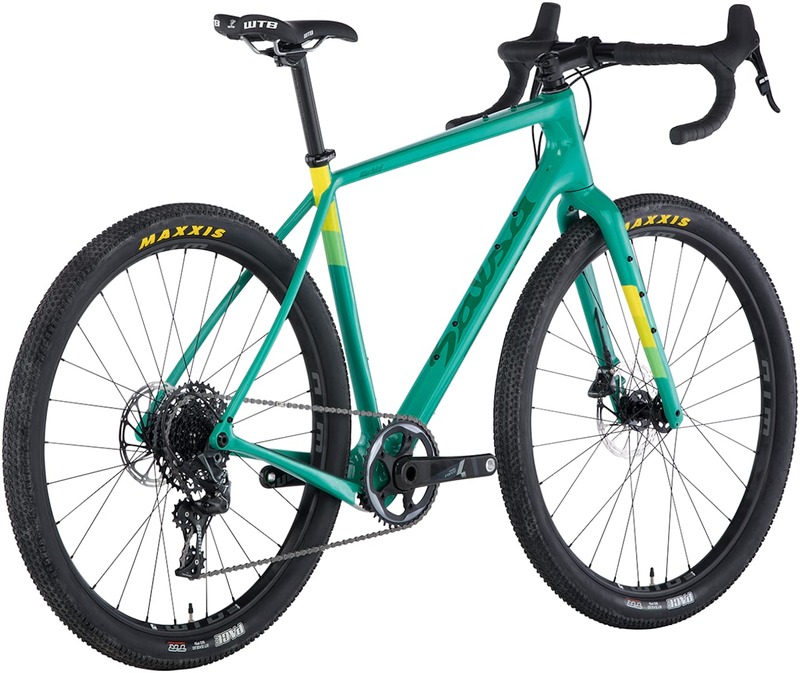 The steel all-road bike still has ample clearance for 700c x 50mm tyres, so some chunky rubber, to most bikes, but positively skinny compared to the Fargo. The Vaya also receives a big upgrade in the fork department – this time with the addition of the new Waxwing carbon fork. The Waxwing fork features side-mounted Three-Pack mounts, low rider mounts, and internal dynamo wire routing. A Shimano 105 build comes in at $1,799. The Cutthroat has to be one of the few bikes out there that was designed for a specific race. The drop bar, carbon fibre bike is designed as the ultimate Tour Divide race bike. One was piloted along the route by our own Greg May a few years ago, and then taken on the first Torino-Nice Rally by Tom. Both rides confirmed that the bike is a rapid mile muncher when you want it to be, as well as being supremely comfortable for many hours in the saddle. The Cutthroat has become a perpetual favorite, so Salsa has added a fourth spec to the mix – in part due to Salsa engineer Sean Mailen’s experience at the Trans North Georgia event in 2017 – there is now a build with a 100mm Rock Shox Reba SL fork. The Cutthroat Apex1 SUS comes in at $2,899. 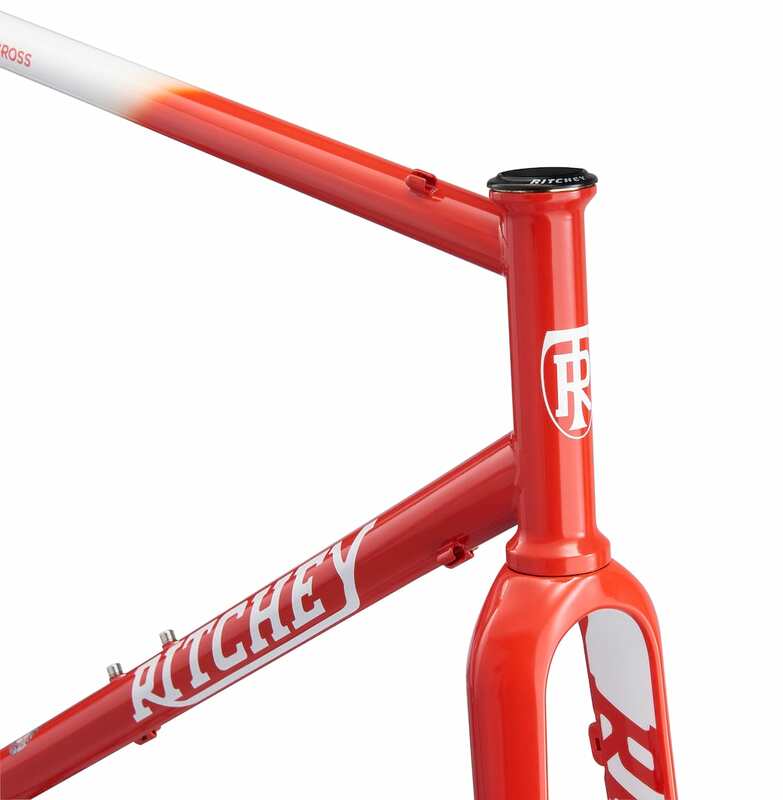 A few rigid builds are still available, as well as the frameset. Except when it comes for the SUS… stealthy. 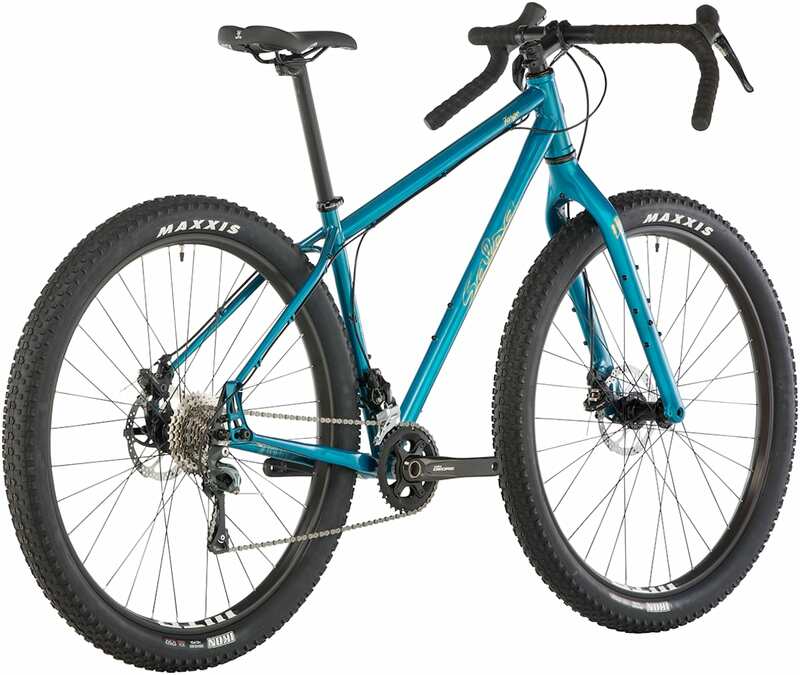 The Salsa Journeyman is a new one to us, but has been around for a little while. Designed as something of an entry level gravel bike, it is available in both 700c and 650b drop bar builds. Flexibility looks like the name of the game, with a bike that’s intended for everything from gentle bike path cruising through to gravel racing. The aluminium framed, carbon forked bike is available in a huge six drop-bar builds (three 700c, three 650b) and two flat-bar builds. The cheapest option is the $899 Claris build. The Warbird might have been where it all start for many when it comes to gravel racing. It was certainly one of the first bikes that made its way across to the UK as a “gravel racer” rather than a ‘cross bike. It has been completely redesigned for 2019, with a fair number of new features in this Version 4. The full carbon bike is designed as a racer first and foremost, but Salsa haven’t forgotten that comfort is pretty important if you are tapping out 200km+ gravel races. Salsa calls it’s approach to slender seat stays and built in vertical flex “Class 5 Vibration Reduction System”. 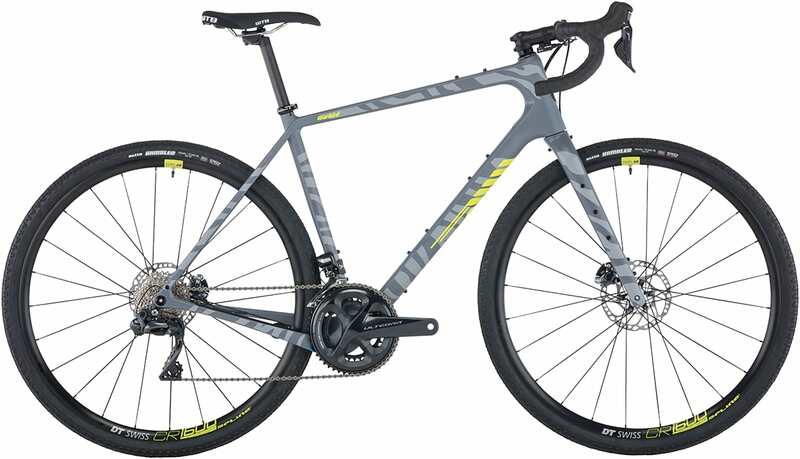 The only 650b build option comes with SRAM Force 1 groupset. It’s something we’ve seen lots of companies adopt, and it certainly seems to give frames a bit more compliance. The Warbird also features the same Waxwing fork that we saw on the Vaya, giving plenty of carrying options on longer races or adventures. There’s a few other interesting features there as well, which we’ve seen a few other brands introducing in recent months. There are toptube bag mounting bosses, routing for a stealth dropper post and clearance for larger volume tyres (the Warbird is designed for both 700c and 650b). Salsa has a number of build options, ranging from an Ultegra DI2 option through to an Apex1 build. Both wheel sizes are again catered for. Pricing runs from $2,399 for a Tiagra build through to $5,399 for the Ultegra DI2 offering. We do love the look of the Tiagra build as well.